Forrest Gump's oft-imitated line, "My momma always said, `Life was like a box of chocolates. You never know what you're gonna get' " will be immortalized among the nation's treasures in the world's largest archive of film, TV and sound recordings. 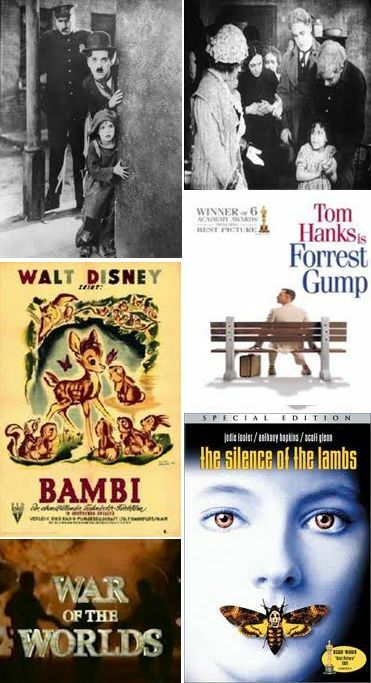 The Library of Congress on Wednesday announced that animated Disney classic, "Bambi," made in 1942 about a deer's life in the forest was one of 25 films chosen to be included this year in the National Film Registry. "The Silence of the Lambs," which won Oscars for stars Jody Foster and Sir Anthony Hopkins. Hopkins plays cannibalistic serial killer Hannibal Lecter in the psychological and violent thriller.